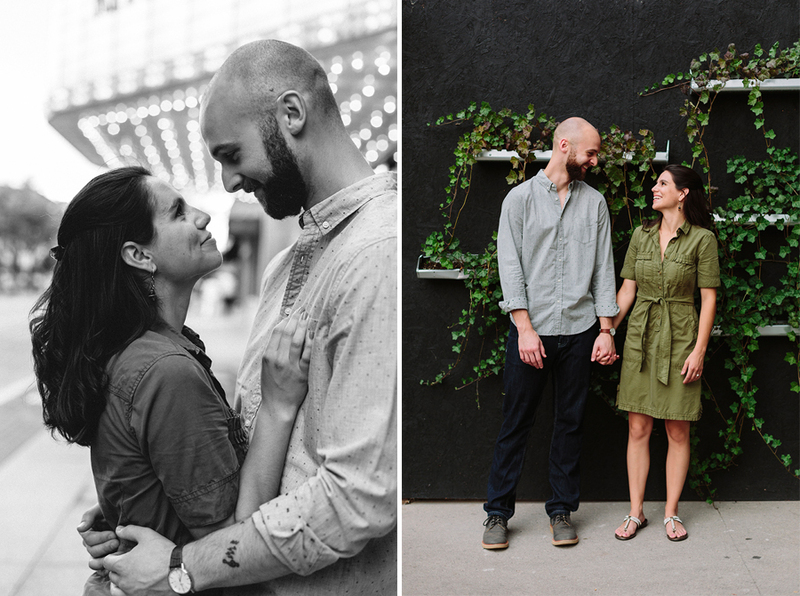 If I have clients as fun loving and awesome as Sarah and Travis for the rest of my days I will be one happy camper. 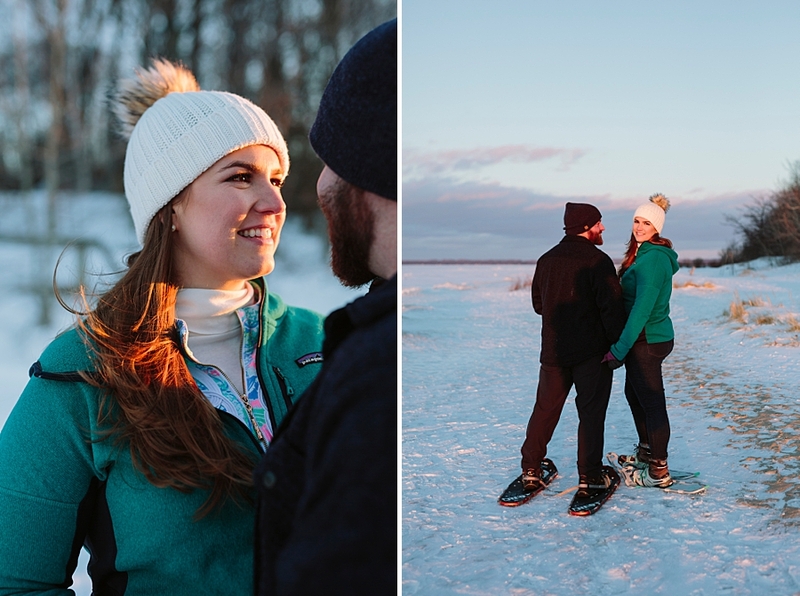 They brought a 6 pack of Stella, their crazy lovable pup (also named Stella), and multiple hat options to their engagement session. We hiked the Empire Bluff Trail and headed down to the beach where the ice formations were just unbelievable! 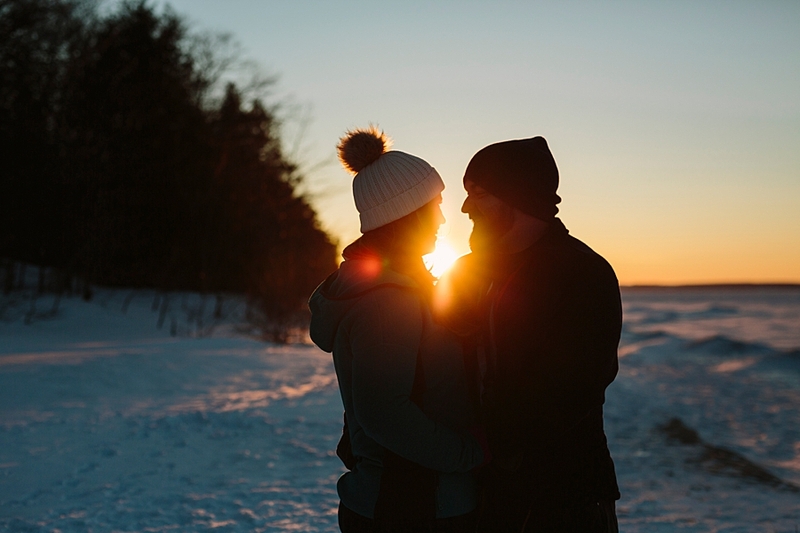 It was brutally cold, but the sun came out giving us some gorgeous light to work with. I certainly can’t complain. 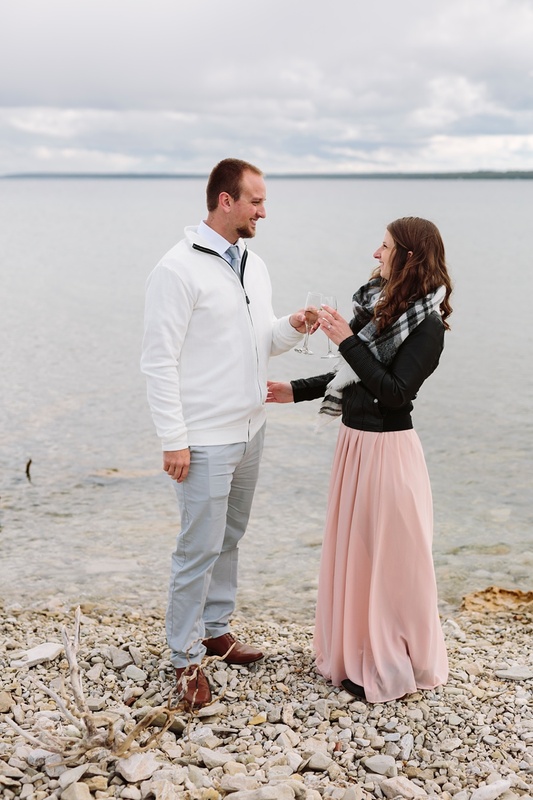 Cheers to Sarah & Travis! 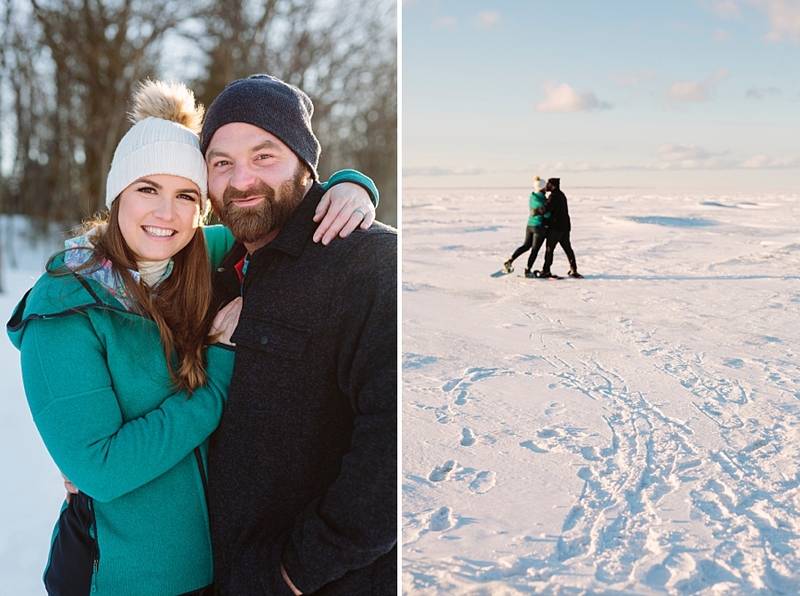 Last week Ray and Mike headed to Northern Michigan for a little getaway and I was thrilled that the timing worked out so that I could join them for a photo session! The weather, as always, was unpredictable and we ended up with a cold day that felt absolutely frigid the moment the wind touched you. When I stepped out of my car at the beach in Glen Haven, the wind was whipping up huge icy blue waves and I was a bit worried. Despite conditions that make you want to curl up on the couch under a blanket, Ray and Mike were absolutely up for the adventure. 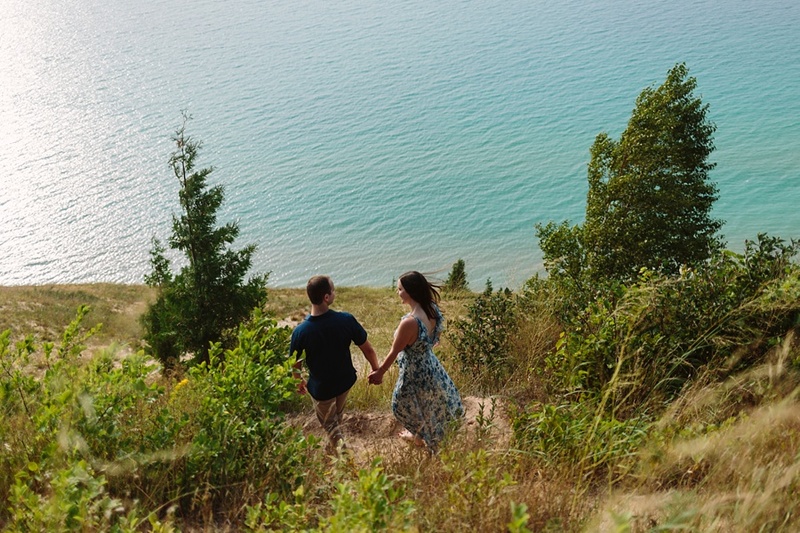 Those blues of Lake Michigan came through, we walked through green forests with fat snowflakes coming down, and explored the vast expanse of sand at the dune climb - Northern Michigan’s color palette really came through for us. But the most important part was, of course, Ray and Mike. Their sense of humor and laughter was contagious. 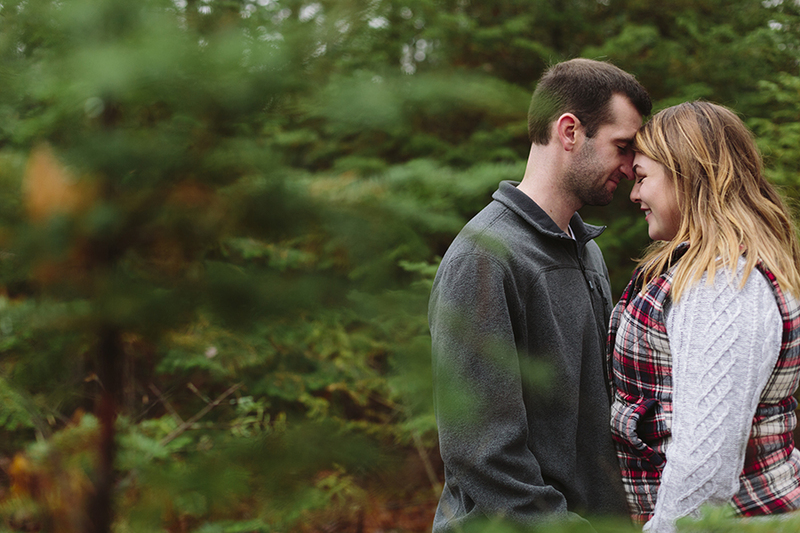 We were chatting and laughing as we walked down trails and hopped back in cars to warm up. Their smiles stole the show and I had an absolute blast. Thank you Ray and Mike for an awesome afternoon! Holly’s family owns the cottage next to my grandma’s in Grayling. It was a Danish American community who initially settled and built these summer cottages on Lake Margrethe and the prized feature of Danish Landing is the red and white gazebo. 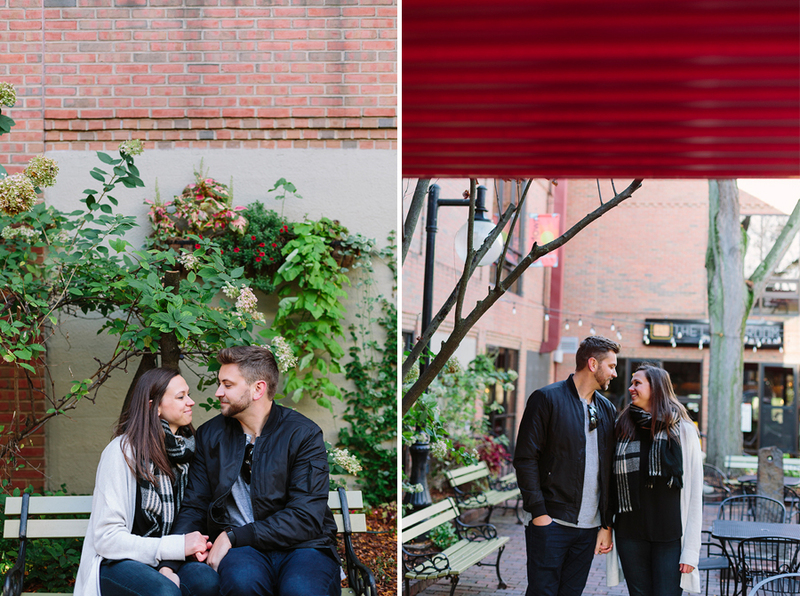 I’ve always loved the gazebo for sentimental, nostalgic reasons, but I’ve never photographed a couple in front of it. So of course when Holly suggested taking photos over at the landing, I was super excited. 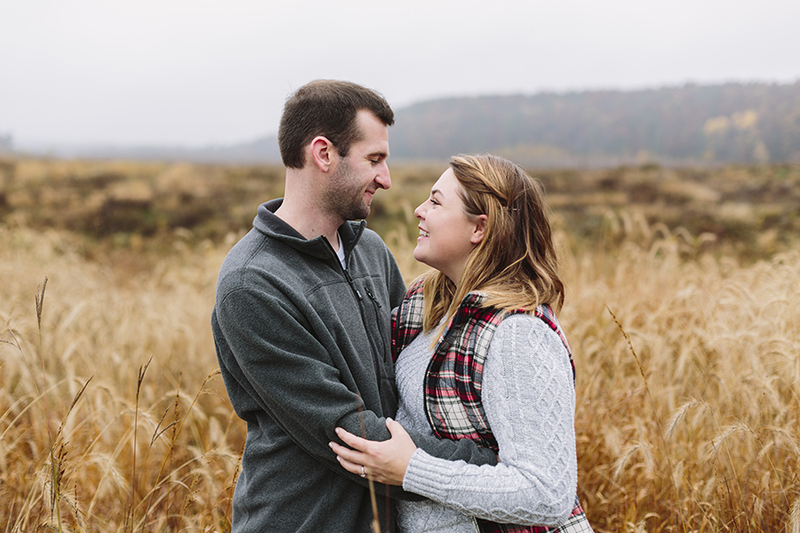 On top of that, Holly and Collin brought their pets Up North so that they could also be included in the session! 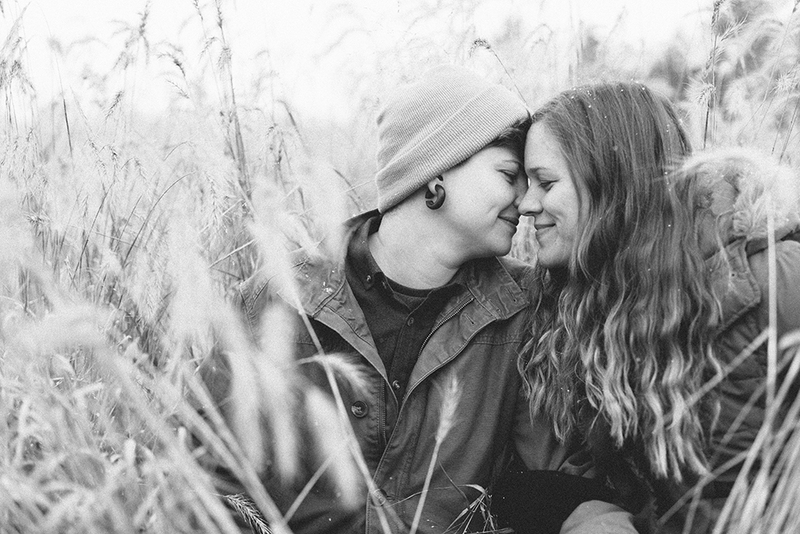 So another photography-first occurred for me when I was able to include a cat in engagement photos! We didn’t keep sweet Lacey outside for too long, but I think we got a few real gems. 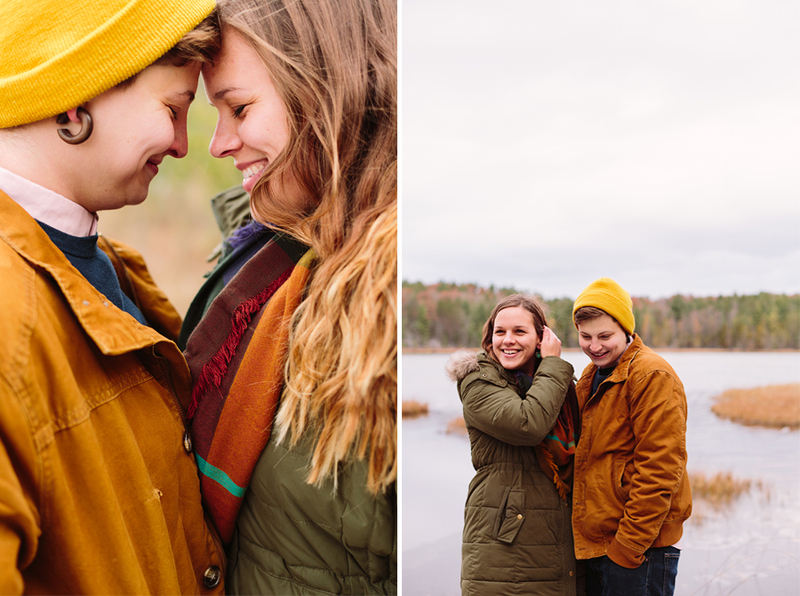 A++ to Holly and Collin for being so fun, and goofy, and braving the cold with me. I’m just feeling super grateful for the coolest people I get to work with! 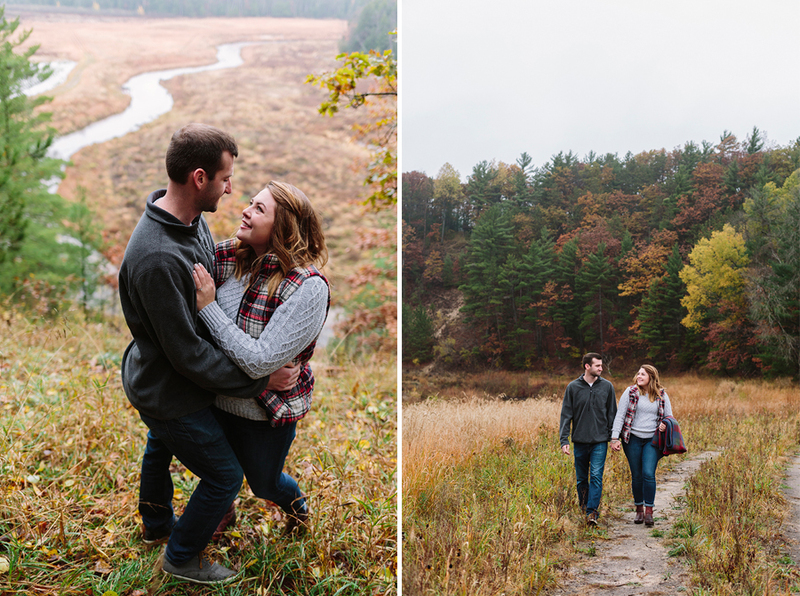 We fit Megan & Mike’s session into this perfect pocket of time - We were able to capture tons of late fall color before all of the leaves fell, as well as the icy blues of Lake Michigan. 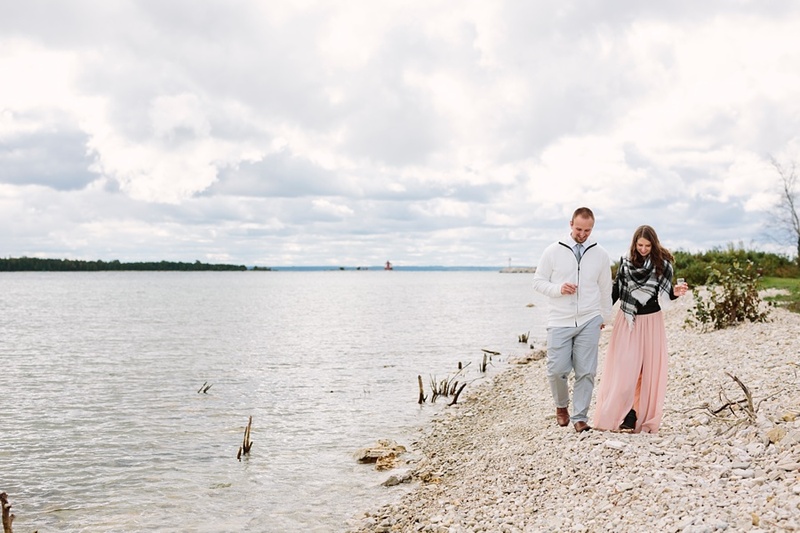 Mike proposed to Megan out at Empire Bluff, so it was extra special for them to have their photos taken here. To me it doesn’t get much better than hiking around this magical landscape with clients. Especially clients who are outdoorsy, and fun, and make the occasional goofy face at each other. AND I’m obsessed with Megan’s sweater poncho, so we’re basically destined to be best friends. I hope you’re enjoying this late Fall season as much as I am. Stay cozy my friends. Talk about a vibrant session! 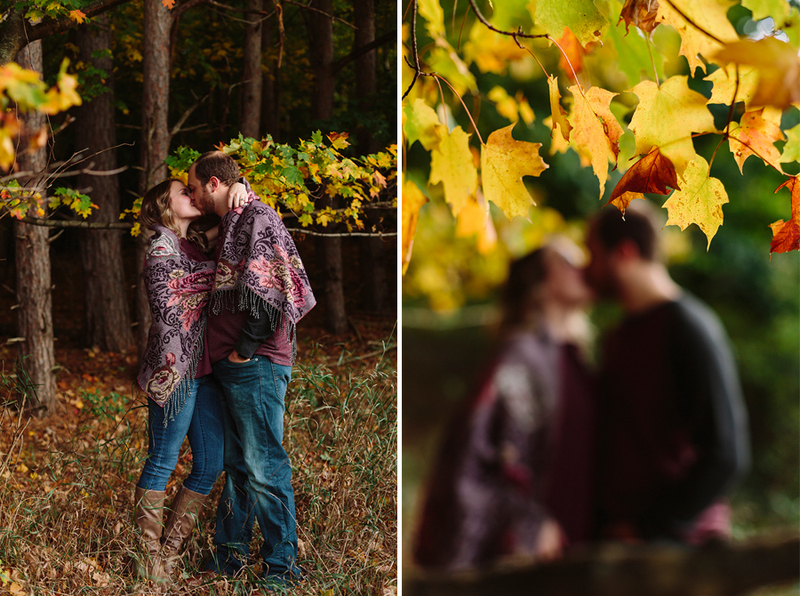 Looking through these images I still can’t quite get over just how amazing the Fall color was for this shoot! 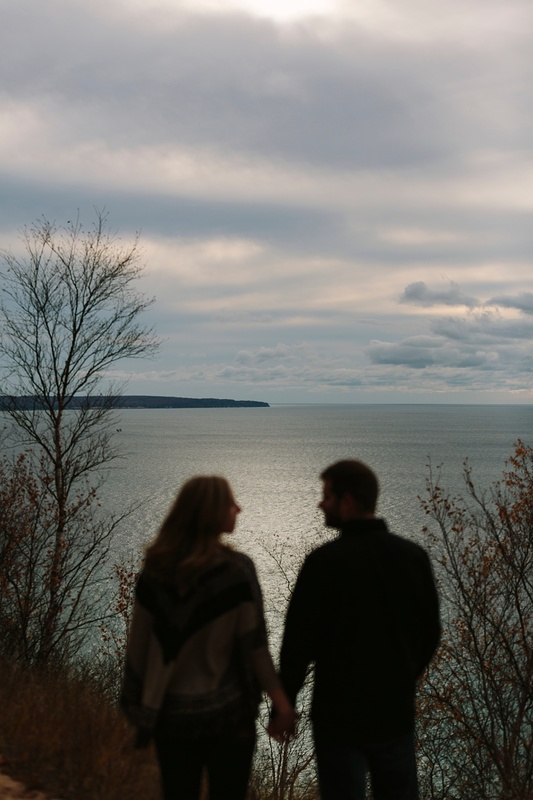 Northern Michigan has a special meaning for Lindsey and Brad which is why they have decided to get married up here next year. But it’s also why they planned a trip last weekend to scout the very best Fall colors for themselves! 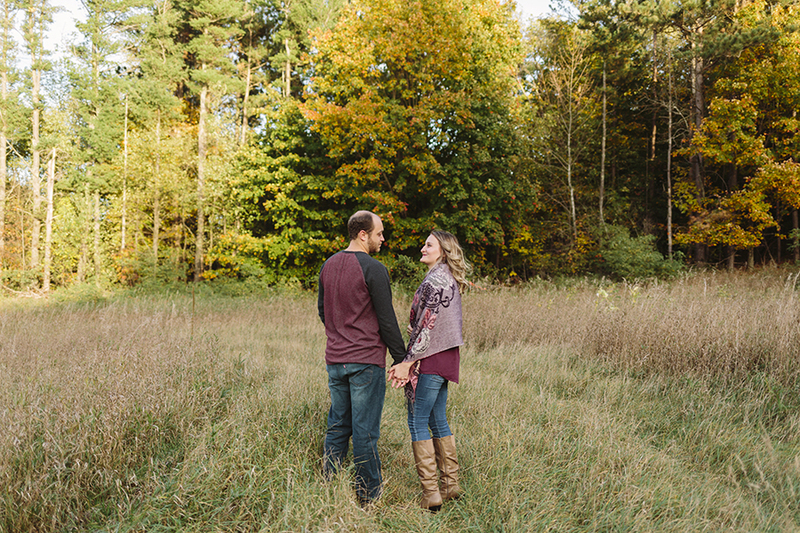 On Saturday while we were photographing a wedding, they took the time to drive around and find areas where the leaves were especially bright and close to the ground. Don’t get me wrong, I’m happy to help with location scouting and suggestions, but when you have an idea please let me know! I’m always excited to explore a new area during one of the most amazing times of the year. Cheers to Lindsey & Brad! My dear friend Courtney has met a wonderful man, Mark. My heart is so full seeing how happy they are together. 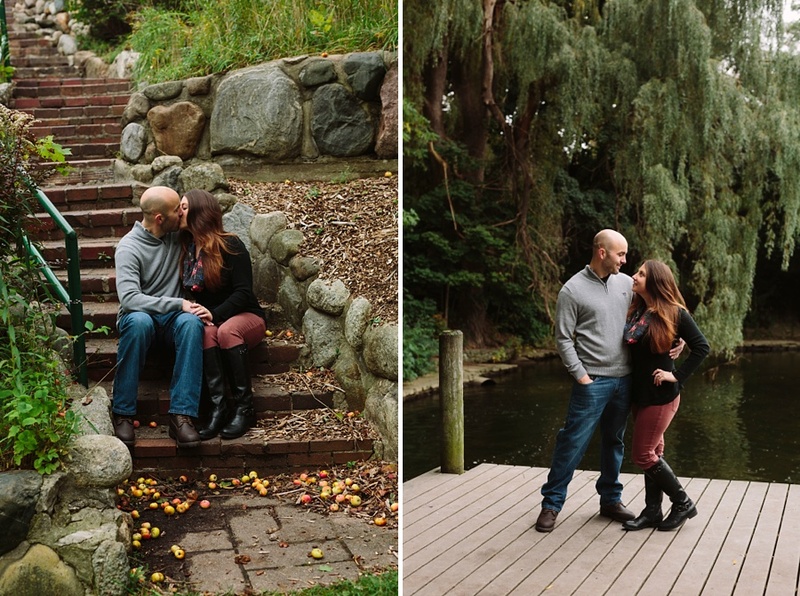 I made a quick trip down to Ann Arbor last week so that I could capture some Fall engagement photos for them. After the shoot was finished I got a text from Courtney that said, “I’m a little overwhelmed with my beautiful life/family/friends right now. So spectacular!”. This means everything to me. If my images can play a small part in helping people feel gratitude for their life, to feel thankful and present in the moment, then I’m doing something right. I also hope that as sweet Thea grows, these photos will be a little reminder of just how loved she is. 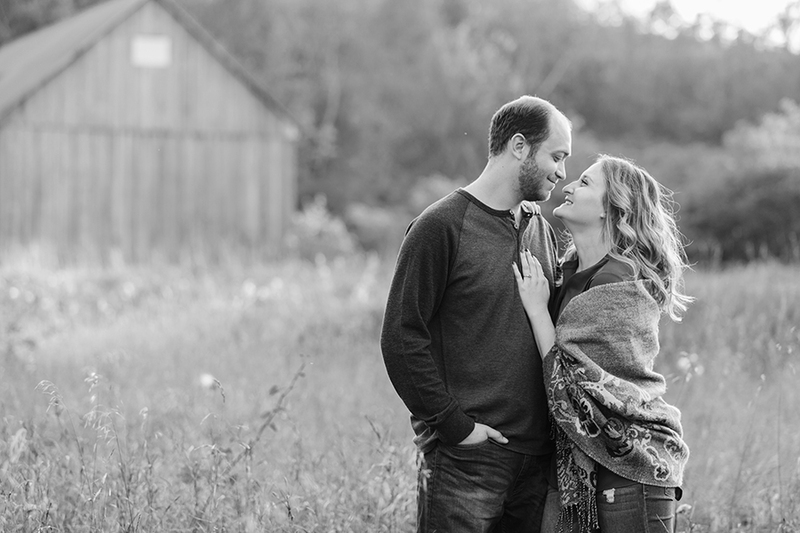 Courta - I’m honored to photograph your beautiful life. I CAN’T WAIT for the wedding. Sing it Etta. That song has been on repeat for me lately. 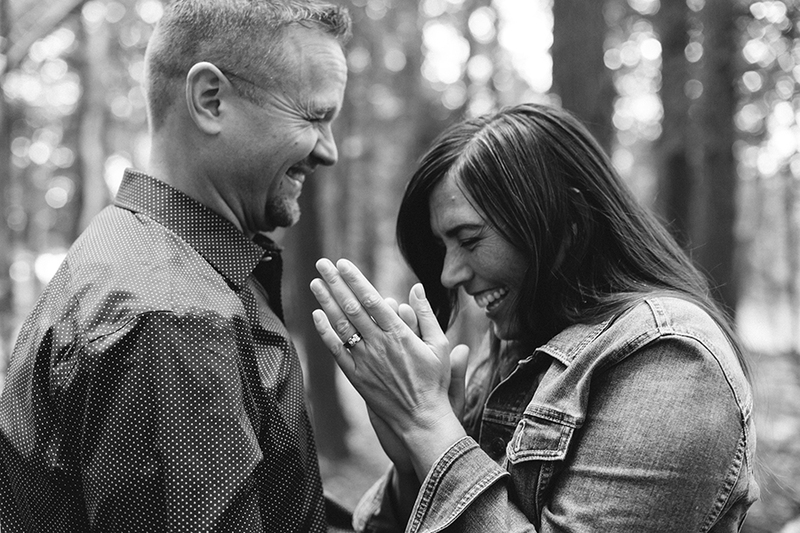 I’ve been spending a lot of Sundays these days photographing couples and it makes me oh so happy. Happy Sunday and cheers to Lisa & Greg! August was a full month for us and now it's hard to believe that September is here already! 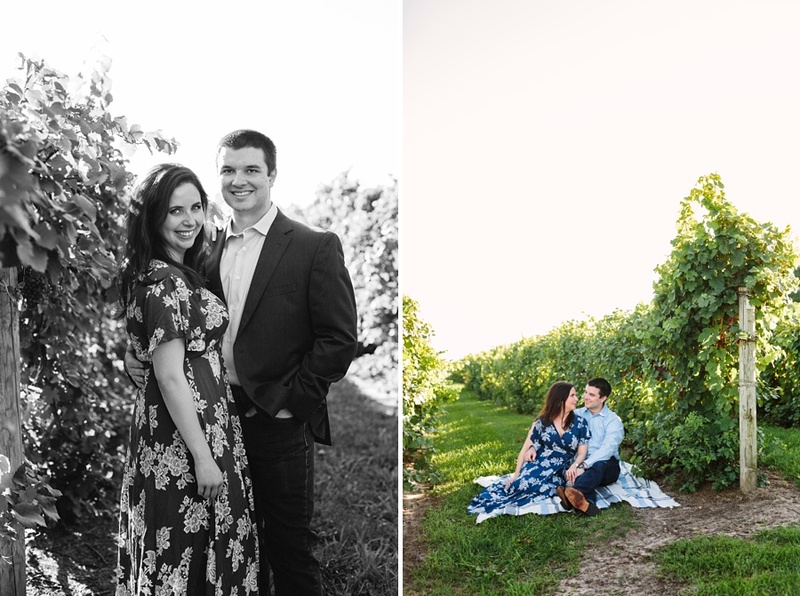 On the very last day of the month - in between unpredictable late Summer weather - I fit in an engagement session with Amelia and Chris while they were in town visiting from the East Coast. I'm so glad we could make it happen! They were hoping to sun and water views. Check and check. Cheers to you two! Meeting our 2019 couples always makes me excited for what's ahead. Everything was green. The air was hot and humid. One cloud rolled in with a bit of rain in an otherwise blue sky day, leaving the foliage dewey with raindrops. This session just screamed "SUMMER!!!" and when you live in a place with four dramatic seasons, you just have to embrace the heat. Soon enough it will be cold and snow will cover this landscape, so for now enjoy this moment. 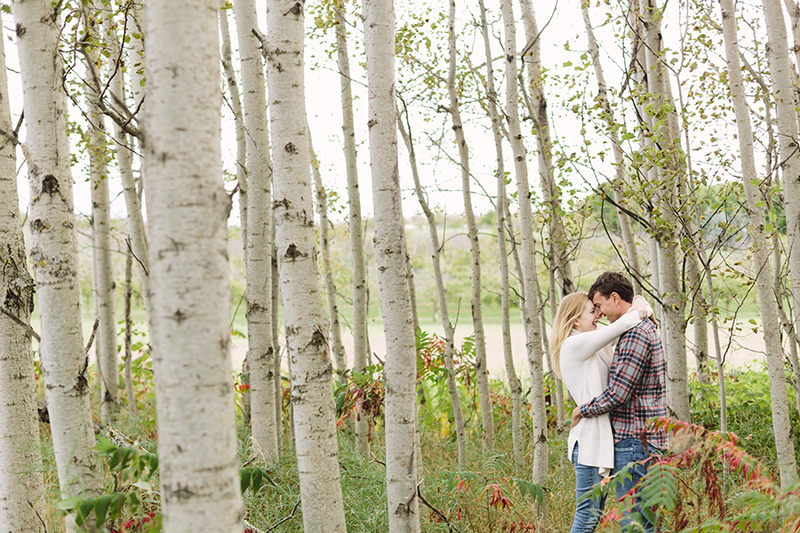 Breanna and Lucas wanted a wooded setting with great Northern Michigan vibes for their engagement session. I'm so happy that I get to explore my favorite places with outdoor-loving couples for a living. What a dream. 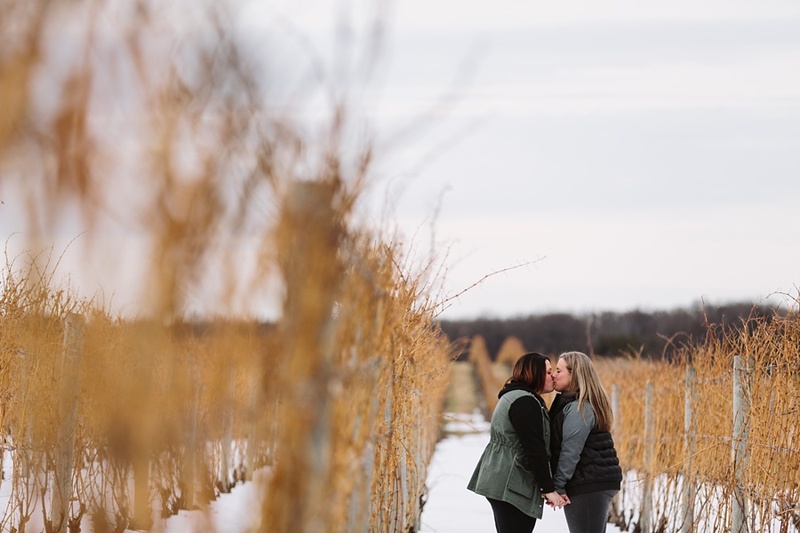 These beautiful women will be celebrating their love in Northern Michigan next October when they get married and I seriously can't wait! 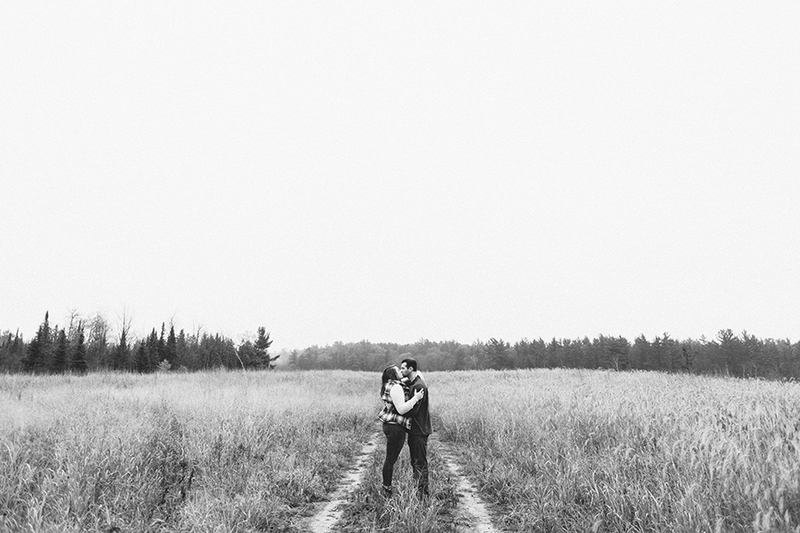 To celebrate their engagement, we took some photos around Old Mission Peninsula last weekend. It feels like Spring has come early here in Northern Michigan, so finding patches of snow to make the landscape look 'Wintery' was actually a challenge. 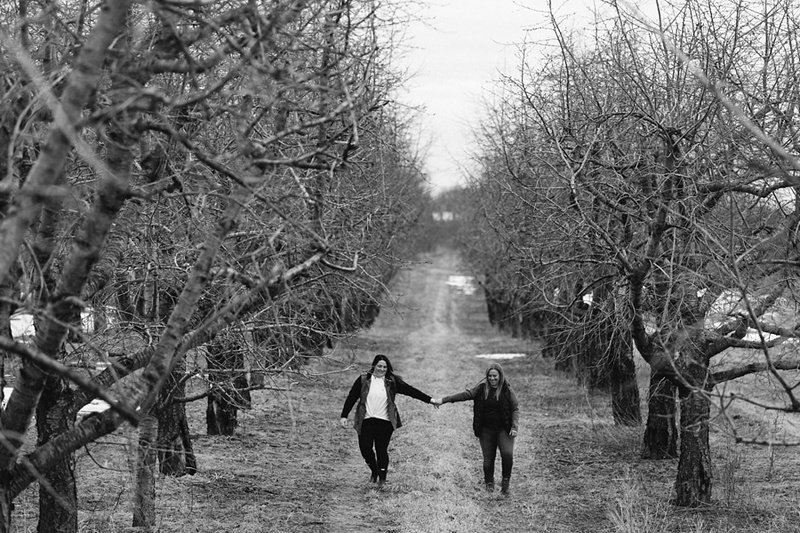 We ended up exploring some cool ice formations along the bay and discovered how beautiful grape vines and orchards can be even without any foliage. Just when I think that the seasons might be too in-between to look beautiful, that the scenery will be to drab to photograph well, I'm always reminded otherwise. I'm so happy that Stef and Jess were excited and up for the adventure! 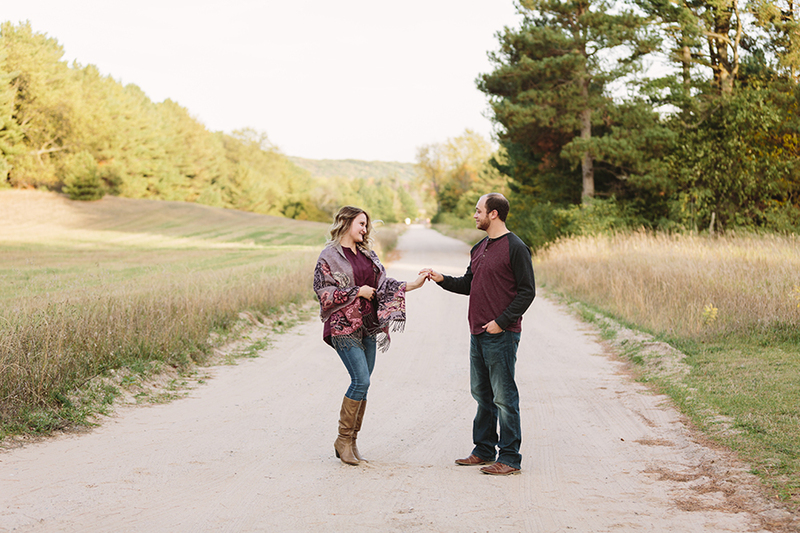 When your clients request an engagement session at a hidden little lake with special meaning to them, you know it is going to be a good day. 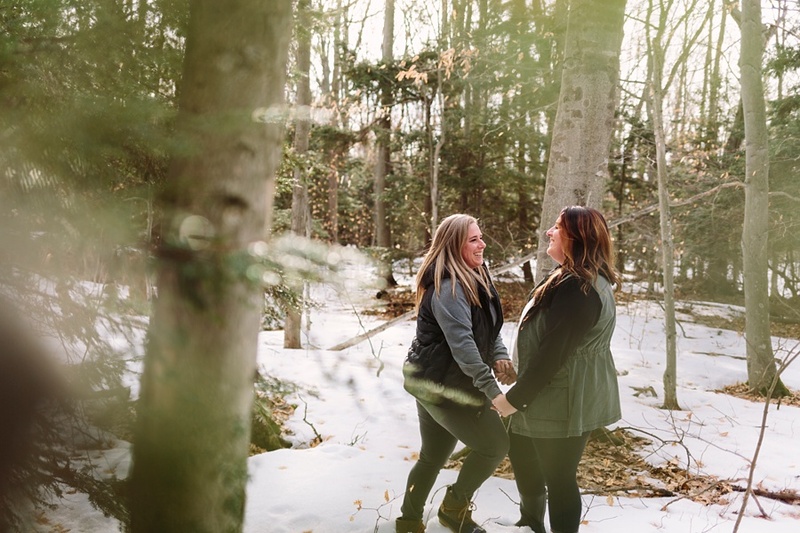 Despite some truly bone-chilling temperatures and a fresh dusting of snow from the night before, Erin & Shelby took the rowboat out with their pup. The late fall colors were subtle but beautiful and by the end of the session we were hiking with big fat snowflakes falling around us. 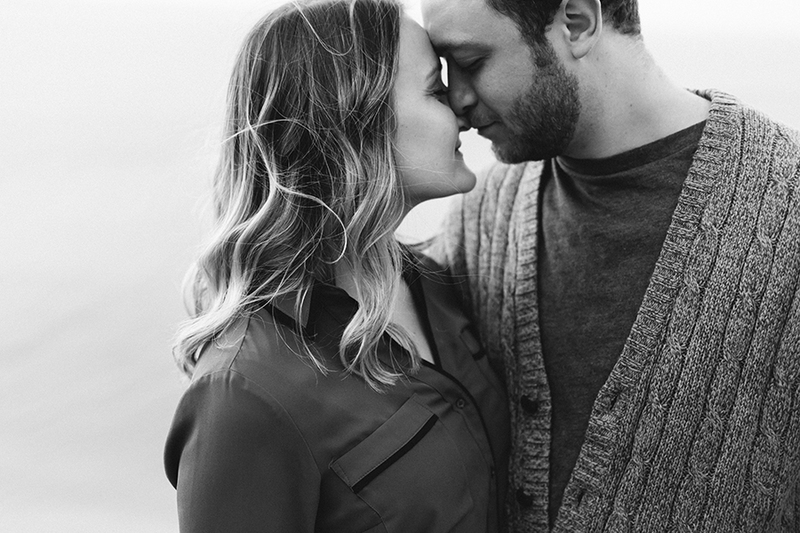 It was such a pleasure to work with these two and I'm beyond excited to share a peek of the session here. Also, I have to mention that Shelby is a very talented woodworker - I had the chance to check out her products at Shop & Sip (a holiday craft market), but if you missed it I would highly recommend browsing her website... just in time for the holidays ;) wink wink ;) Cheers to Erin & Shelby! With snow just around the bend, Jamie & Joe hiked out to Brown Bridge Quiet Area with me for a morning session. The landscape was filled with mist, fog, and golden hued foliage. I think it ended up being pretty darn perfect. We walked quite a bit of trail, avoiding the muddy patches and finding glimpses of the river between the pines. Get out there people! It's beautiful even in these "in between" seasons. And congrats to Jamie and Joe! 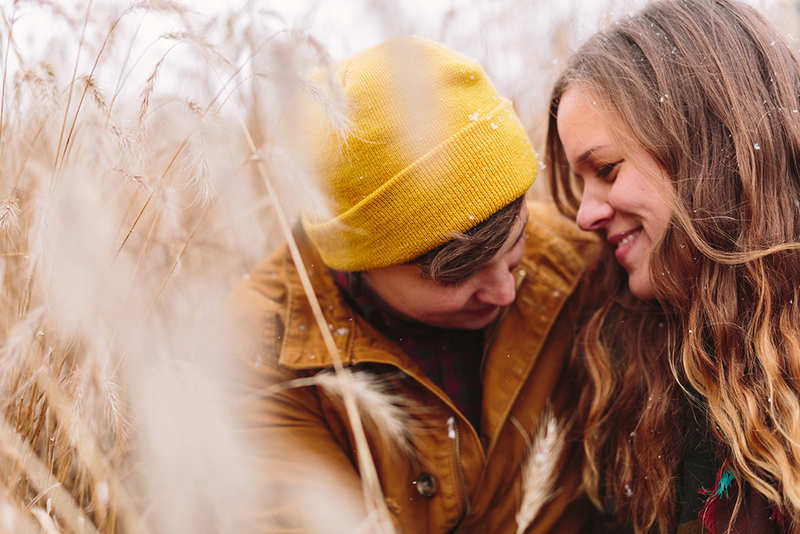 I have known Cassie since my elementary school days and this session felt like a nostalgic Ann Arbor tour for me. What a PERFECT fall day. 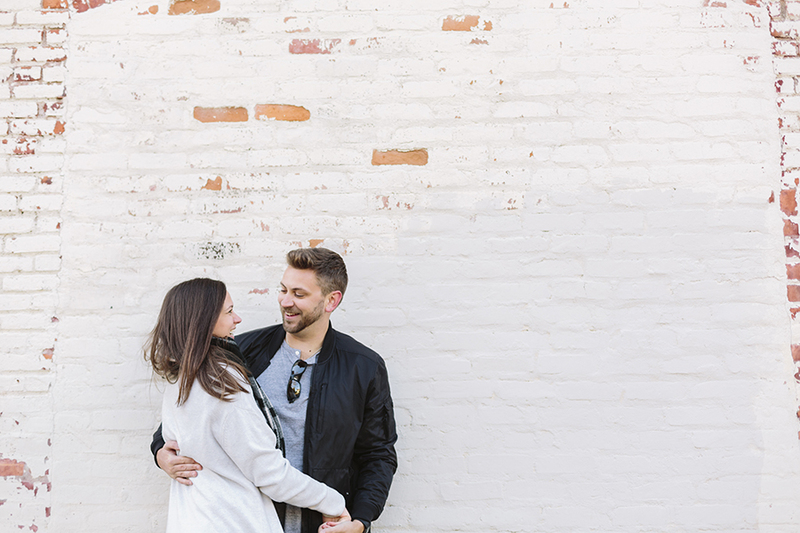 We hit so many iconic spots during our stroll through Kerrytown, along the Huron River, in the Diag and finishing up at Ashley's - where Cassie and Craig happened to have their first date. 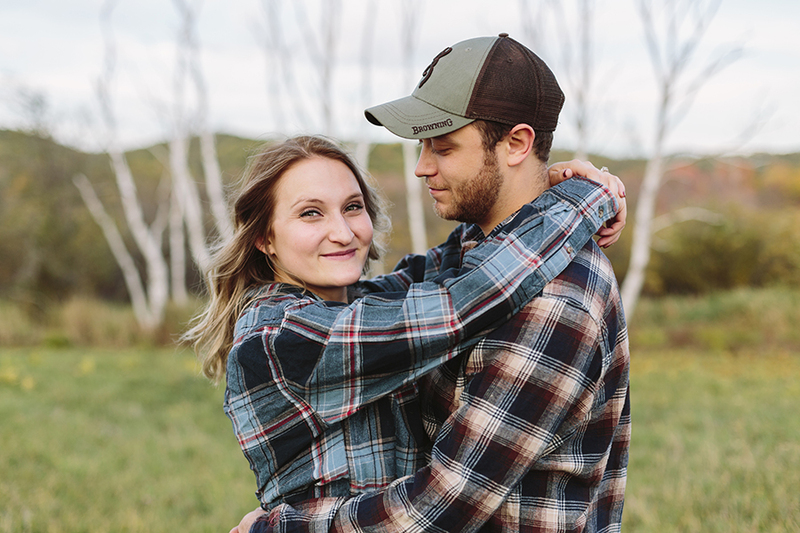 They are planning their wedding in Chicago next summer (I can't wait!!) 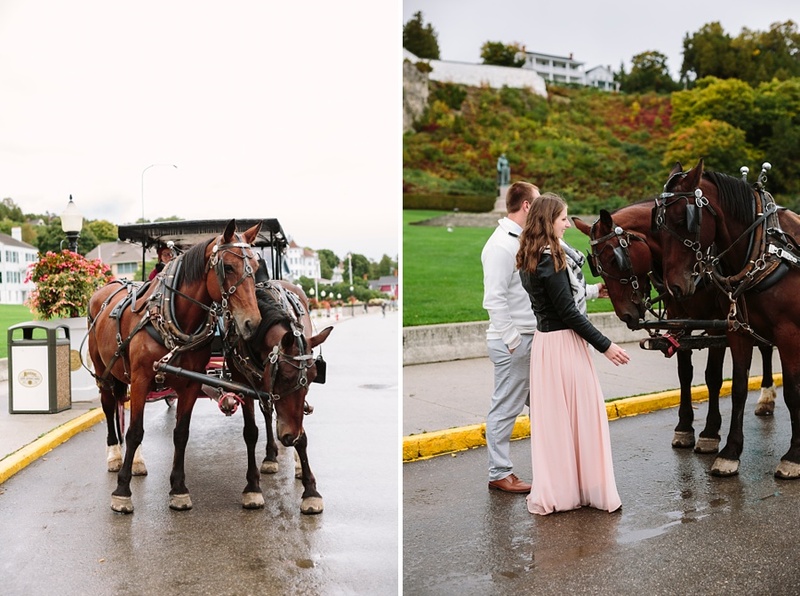 so they wanted to make sure to snag some photos in the town where they met. Feelin' the love for these two and A2 in this session. Congrats Cassie and Craig! 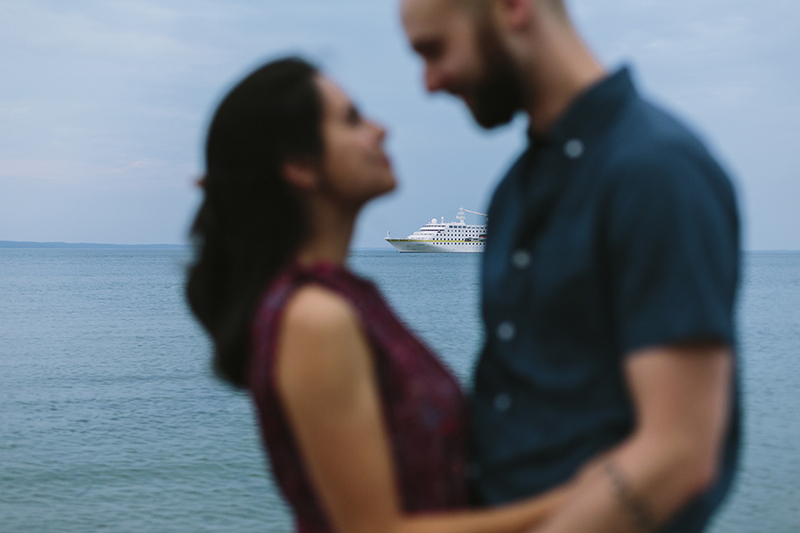 It's not everyday that you get to go to a private island for an engagement session, but that's exactly what I got to do with Deb & Al! Al is the property manager for Namaste Island, a 7 acre privately owned island in Bass Lake. We took the pontoon boat over, started a fire and hiked the trail that runs the length of the island. 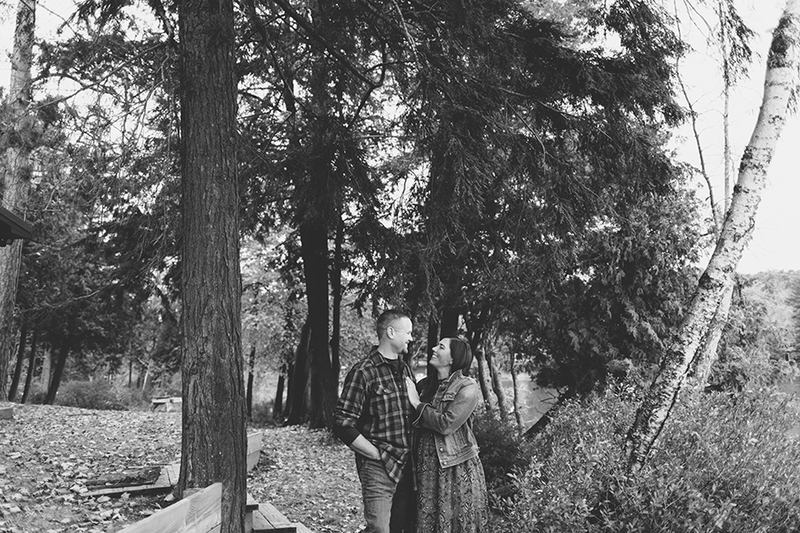 It was a perfect spot for a fall engagement session. Congrats to Deb & Al!! 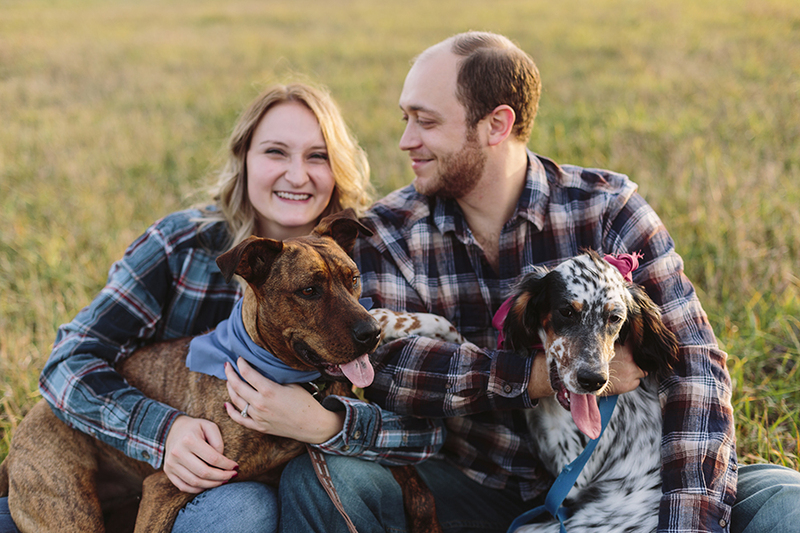 We hit a perfect Fall day for Zack, Laura & their two pups. The golden light was just right and the session kinda flew by because we kept finding new places to explore. It was one of those times where I'd just pull over on the side of the road and say "I just had to stop - that field looks like a perfect spot right now". To top it all off we witnessed a cotton candy sunset at Pyramid Point... doesn't get much better! 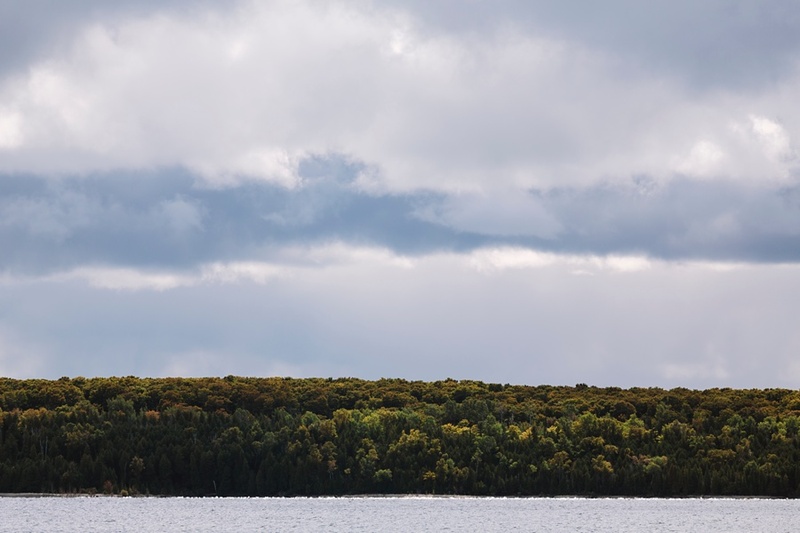 Here is visual proof that Leelanau County is a magical wonderland filled with birch trees, apple orchards, blue water and perfect little pockets of sunbeams. 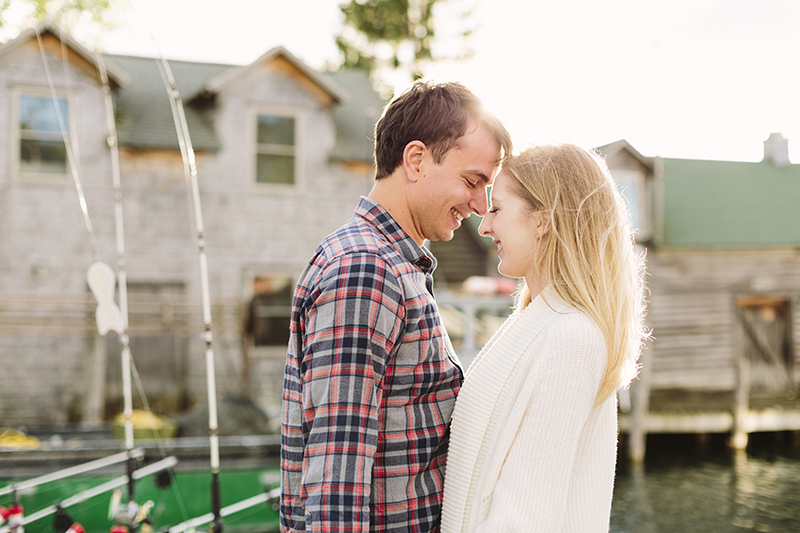 I had such a great time with Chelsea and Joris during this session! We grabbed cider at Tandem and then headed to Fishtown and the beach in Leland. 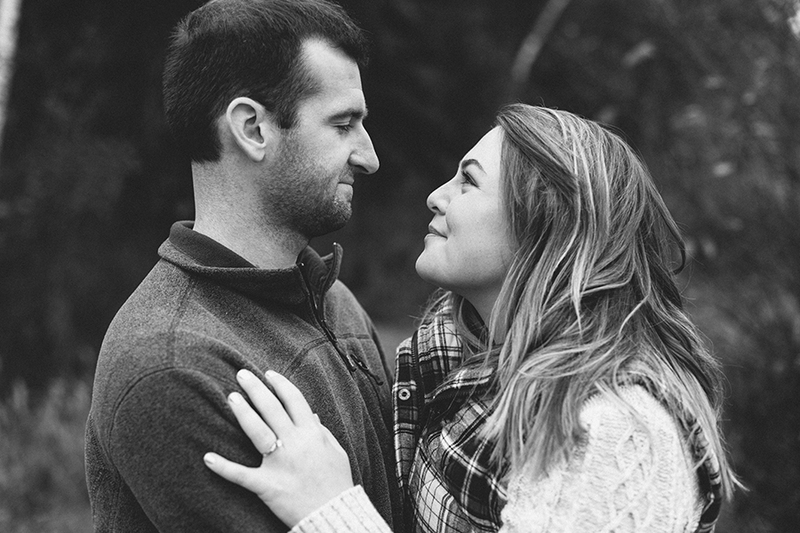 I'm so excited that I get to see these two again in just two short weeks for their wedding!! With the leaves just starting to change, and the air cooling down, I hiked around the grounds of the commons, walked down Front Street, and went to the beach with Katie & Matt. It truly felt just like hanging out with friends. The next day Katie sent me a sweet email message saying that exact thing, and how grateful they were. It makes me so happy - I mean it really, truly, fills me with gratitude - that my clients can have an experience like that with me. 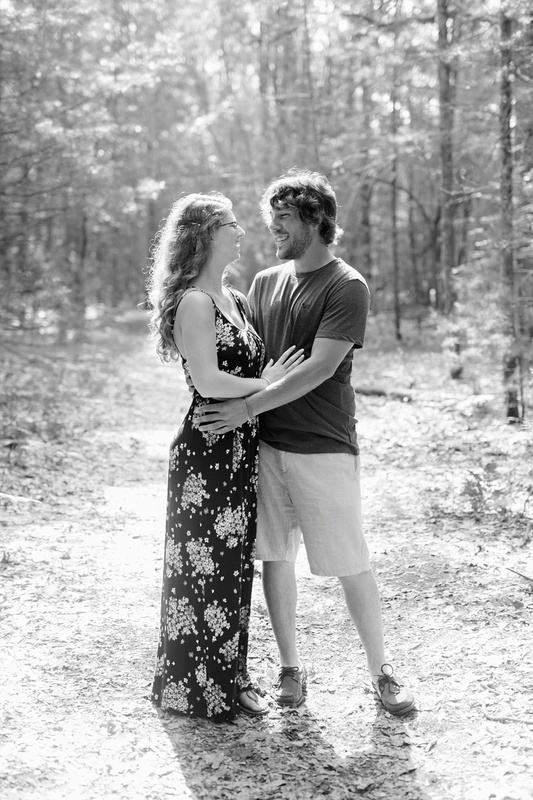 I'm so unbelievably excited for their wedding next September! !